Following on from a glam-packed night out to a Bath Spa University graduate fashion show last week, I felt compelled to make a fashion statement of my own after viewing some truly awesome collections, including that of Graduate Fashion Week winner, Grace Weller. 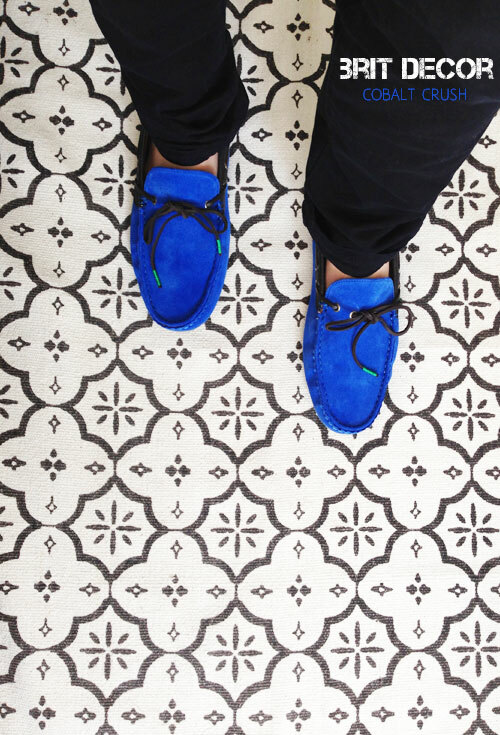 So this week saw the delivery of what has become my new favourite Summer driving shoes from Zara Man (pic no.1 'above'). The vivid Cobalt Blue suede was just the kind of high-energy colour pick-me-up that I needed to get me through a very manic week, and this brightest of blues also provided a great accent colour for my staple navy blue wardrobe. In truth, my home is sadly lacking in cobalt colouring, which may need to be addressed at some point because this truly is one of my favourite blues, and the energy that it exudes is incredibly uplifting. 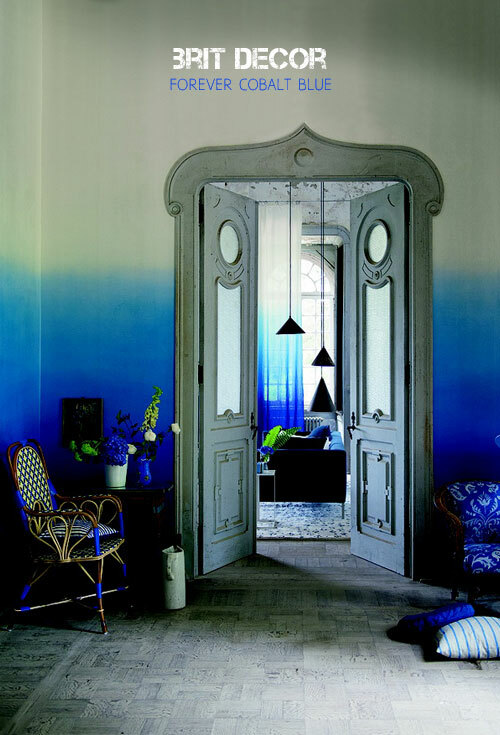 Blue ombre is beautiful in every way but the choice of Cobalt (pic no.2 'above'), takes this colour-effect to another level by adding a distinctive depth to the walls and window dressing of this exotic looking interior, peppered with strong cobalt accenting, such as the striking spikes of detailing on the rattan chair. A super-fast and easy way of adding an uber-cool ombre effect to your home is to dip-dye some fabric, letting the ends of some plain material gently soak up the colour. 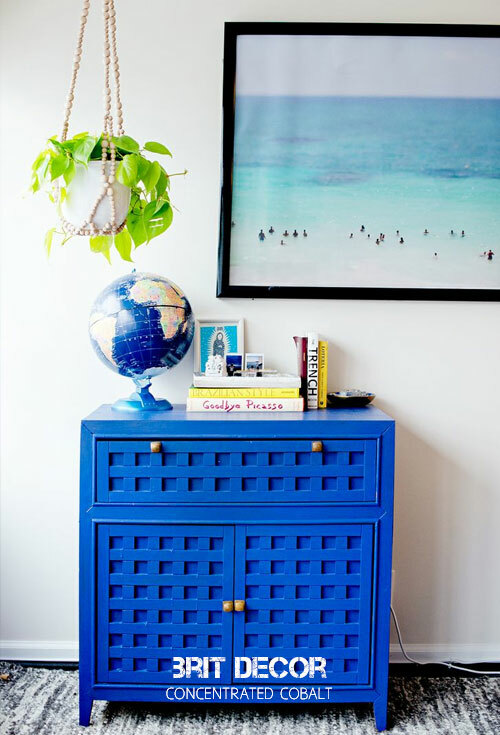 If you are looking for a show-piece to take centre stage in a room or you have a favourite item of furniture which needs a facelift, how about the compact cobalt sideboard 'above'? 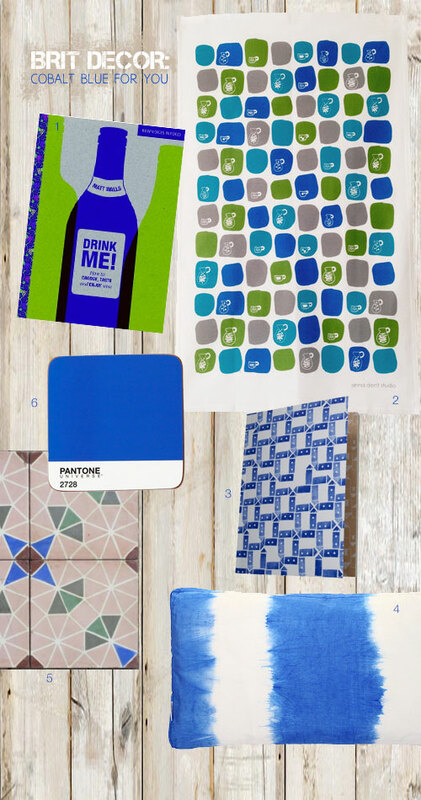 This scene also shows just how well blue works against a white backdrop, and the owner of this home has cleverly worked in some playful multi-layering with secondary colouring such as the brilliant yellow books, the zesty green plant and the aqua blue print - spot on!